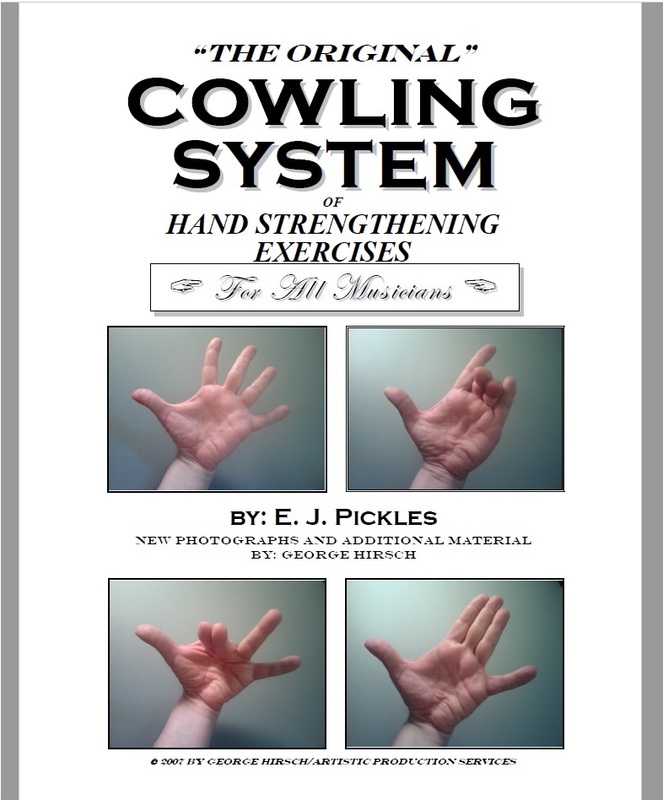 "THE ORIGINAL COWLING SYSTEM s a set of amazingly effective HAND STRENGTHENING EXERCISES, done AWAY from the instrument. It uses NO devices, weights, or any external resistance at all. Play 35% CLEANER & FASTER with LESS strain, within WEEKS, not years! ALL MUSICIANS: Looking for a breakthrough in playing your instrument? You've just found it! WHAT IS "THE ORIGINAL" COWLING SYSTEM©? It is an instantly downoadable e-book in pdf format, containing a set of amazingly effective HAND STRENGTHENING EXERCISES, done AWAY from the instrument. It uses NO devices, weights, or any external resistance at all. ''Firm and compact muscle can be developed by the use of dumbbells, corks and other mechanical devices, but firm and compact muscle is just what the instrumentalist does NOT want. Hence, no outside force whatsoever should be employed. WHAT THE INSTRUMENTALIST NEEDS IS SOFT AND FLEXIBLE MUSCLE OF GOOD QUALITY.'' ~ E. J Pickles, Founder of the Cowling System, circa 1904. And, It's been providing similar results to ALL musicians - pianists and keyboardists, guitarists, violinists, cellists - even wind intrument players and percussionists - EVER since! 71 pages - 40 photos - 8 1/2" x 11"